David Birnbaum, MNA for D'Arcy-McGee and Parliamentary Assistant to the Minister of Education and the Minister of Higher Education, announced today the second edition of the Victor Goldbloom Vivre Ensemble Essay Contest. Victor Goldbloom, the first MNA for D'Arcy-McGee, first Jewish Cabinet Minister in Quebec, first Minister of the Environment, passed away at the age of 92 last year. He also served as Canada's Commissioner of Official Languages. Dr. Goldbloom was a champion throughout his life of building bridges between English- and French-speaking communities and between those of diverse faiths. All Secondary IV and V students who live or study within the borders of the D’Arcy-McGee riding are eligible. They are invited to submit essays of no more than 700 words on the general theme of “Vivre ensemble”. They are entirely free to choose their specific subject to address that theme. Entries can be submitted in English or French, but they must include a single-paragraph summary in the second language. Entries must be received no later than Friday, May 26th, 2017 at 4:00 p.m. at fran.gutman@assnat.qc.ca. A single winning entry will be chosen by a jury composed of the MNA for D'Arcy-McGee, David Birnbaum, Liberal Association President Orna Hilberger and retired Professor and Association member Dorothy Zalcman Howard. They will be joined by Michael Goldbloom, Victor’s son, the Principal and Vice-Chancellor of Bishop’s University. The winner will be announced at the annual D’Arcy-McGee National Assembly Citizenship Medal Awards on June 12th, 2017. On Thursday, November 25, we sent an email to users of our recreation programs. Some people were suspicious of the email because it came from the company that manages our online software. We could have written the email a little bit more clearly and explained a little bit more. But rest assured the email was from Côte Saint-Luc. A meeting of the Côte Saint-Luc City Council takes place on Monday, November 14, 2016 at 8 pm at City Hall, 5801 Cavendish Blvd. The City of Côte Saint-Luc will be honouring Councillor Allan J. Levine on Monday, November 14 as the long-time council member celebrates the 30th anniversary of his first election. Councillor Levine will be honoured at the start of the City Council meeting at 8pm at 5801 Cavendish Blvd. Councillor Levine won his first election in November 1986. He was a well-known person in the community, in part from his years teaching at Wagar High School and teaching people to drive. Councillor Levine advocated for an anti-smoking law in commercial areas, which he helped achieve. He also joined with his council colleagues to support mandatory bicycle helmets and no smoking in parks. He served at chairperson and member of the city planning committee for more than 20 years. Councillor Levine is the longest-serving member of the current Côte Saint-Luc city council. He has been a member of city council from 1986 to 2001, and from 2005 to present—the only interruption being during the forced municipal mergers of 2001 to 2005. That yogurt or peanut butter container you’re about to throw in the trash can, should it really go there? Tuesday, November 15, is World Recycling Day and we encourage you to think twice before throwing something in the trash can. For a week challenge yourself to think twice before throwing something out. Ask yourself is this really trash or can it be reused, is it recyclable, is it compostable or can it brought to our Public Works Yard or to an Ecocentre (click here for the various items we accept)? We promise you that next time you take out trash, your garbage can will be much lighter and much easier to bring to the curb. Motorists using the Cavendish/Kildare intersection will find it easier to get through the intersection starting November 15, thanks to a new split phase configuration. In short, motorists travelling westbound on Kildare will be able to drive through the intersection at Cavendish while traffic in the opposing direction waits. This allows drivers to turn left (or turn right, or go straight) without opposing traffic. To help visualize the change, imagine you are a driver who left the JPPS/Bialik campus and is heading west along Kildare towards the police station. When you approach the traffic light at Cavendish Blvd., you can use the left or middle lane to turn left or the middle lane to go straight. Once we have made the change, the motorists coming from the opposite direction will have a red right, which will allow you to turn left (or to go straight) without having to worry about oncoming traffic. Likewise, motorists coming from the opposite side will have their chance to move through the intersection without interference, soon after. Just as many vehicles as before will be able to pass through the intersection. However, the process will be less stressful for many. Pedestrians will also appreciate the change because they will have fewer vehicles coming from few directions to contend with. Once the change it made, please let us know what you think about it and if it has helped your driving experience. Email us at engineering@cotesaintluc.org. The Côte Saint-Luc Public Library is hosting a free information session on facts and misconceptions about electric cars on Thursday, October 27 at 7 pm at City Hall, 5801 Cavendish Blvd. "With a goal of 100,000 electric vehicles on Quebec roads by 2020, all levels of government will have to do much more to move beyond the 8,500 currently in the province," Mayor Mitchell Brownstein said. "Côte Saint-Luc is now stepping up to do its part and we encourage residents to join us on October 27 to become better informed on their options." Join Simon-Pierre Rioux, founder and president of the Quebec Electric Vehicle Association (AVEQ) with speak about electric cars and highlight their key benefits both to the environment and your lifestyle. "This event is sponsored by the Côte Saint-Luc Public Library as part of its 50th anniversary celebration," said Janine West, Library Director. "The library will have a display of books and sources available to consult and for members to checkout on EVs, the greening of the environment and other related material." The evening will also feature a display of locally-owned EVs. Residents are invited to bring their EV for display in front of the Bernard Lang Civic Centre beginning at 6pm. "I’ve long promoted the EV movement politically, advocating for the city to purchase EVs and to install public charging stations," said Councillor Glenn J. Nashen, who will host the October 27 event at City Hall and discuss local initiatives in the municipality. "I’ve also encouraged the Jewish General Hospital and CIUSSS West-Central Montreal network to install charging stations at each site. Some already have such installations, others will follow soon. AVEQ has done an expert job and has been very active in organizing information sharing across Quebec in French. We have invited them to Côte Saint-Luc to provide information to the English-speaking community and we invite participation from across the region." Since 2013, AVEQ has supported the transport electrification in the province of Quebec. With its main partners, Intact Insurance and Nissan Canada, AVEQ organizes an impressive number of events promoting electromobility such as Branchez-Vous and the Rendez-vous Branchés. AVEQ is a key player with more than 4,500 active members, 800 volunteers, 10 million visits to its website with 4,000 items in the daily news section. Throughout the year, AVEQ holds different activities all over the province to inform people of the benefit of electric cars and even allow them to link up with local EV drivers in order to get their very own personalized test drive, through our volunteer EV owner program, "Match and Drive." AVEQ has also participated in several parliamentary committees to achieve its mission. It is a key source for electromobility among Quebec media. The Eleanor London Côte Saint-Luc Public Library presents a series of special events, including a used book sale, free cultural events, and drop-in information sessions to celebrate this year’s edition of Quebec Public Libraries Week during the week of October 15 to October 22. “If you haven’t been to see us in a little while, this is the ideal time to come in and discover all we have to offer,” Library Director Janine West said. Public Libraries Week kicks off with the library’s semi-annual used book sale, which runs from 11am to 5pm on Saturday, October 15 and Sunday, October 16. A huge selection of fiction, kids’ books, paperbacks, biographies, travel books, and many more will be for sale with prices starting at $1. All proceeds from the sale go towards special projects at the library. Throughout the week, library members and non-members are invited to attend free events including a travel lecture on Cape Town and the Cape of Good Hope on Wednesday, October 19 at 2pm and a frightening storytelling performance for adults by the Montreal Storytellers’ Guild on Thursday, October 20 at 7pm. For our regulars, Hershey Dwoskin’s ever-popular In the Headlines lecture series continues on Friday, October 21 at 2pm. Kids of all ages can come for a family storytime on Sunday, October 16 at 11am. Families with kids ages 8 to 12 might be interested WOW! Bricks 4 Kids: Minecraft on Sunday, October 16 at 3pm.Tickets are availble at the main desk, and are $5 for members and $7 for non-members. The library will be running a Food for Fines campaign from October 15 to the 21. This giving and forgiving program allows patrons to exchange a non-perishable food item for a $2 reduction in late fines on their account, for a maximum of $20. At the end of the week, the collected food will be donated to the NDG Food Depot, whose serving territory includes Côte Saint-Luc. Library staff will also be hosting some informal drop-in sessions in the afternoon during the week. Members of the public are invited to drop by and meet staff members, enjoy a cup of coffee, and discover the resources and programs available to library members. Are you a Côte Saint-Luc resident but not yet a library member? Become a member for free and take advantage of all the library has to offer. Do your children go to school in Côte Saint-Luc? Come visit us to learn more about our education memberships for school-aged children. Residents interested in joining vCOP should come to an information session on Tuesday, October 25, 2016 at 7 pm at Côte Saint-Luc City Hall (5801 Cavendish Blvd.). They should bring identification and a completed copy of the application form available at www.CoteSaintLuc.org/en/vcop. A meeting of the Côte Saint-Luc City Council takes place on Thursday, October 13, 2016 at 8 pm at City Hall, 5801 Cavendish Blvd. Owners of outdoor cats in Côte Saint-Luc who do not purchase licenses risk losing their pets, Councillor Mike Cohen warns. Councillor Cohen, who is responsible for Animal Protection in the city, wishes to issue a reminder that since 2012 owners of outdoor cats have been required to buy a license, which includes a tag worn around the neck. “I implore cat owners to license their outdoor cats,” said Councillor Cohen. In the last few weeks Côte Saint-Luc Cats Committee Chair Diane Liebling has been called to different homes to trap what the callers thought were homeless cats. Ms. Liebling did so and brought them to the Côte Saint-Luc Hospital for Animals. None of the cats had licenses, but they were microchipped. One was reunited with his owner immediately; but in the other case the microchip did not work and it was only via communications with the SPCA that they were able to find the owner. Two months ago a cat was found under someone’s balcony without a tag or microchip. When nobody stepped forward in two weeks, the cat was adopted by someone else. Outdoor cats in the City of Côte Saint-Luc need a cat licence following By-law 2394 that came into effect on November 1, 2012. Owners of outdoor cats must have them registered at City Hall (5801 Cavendish Blvd.) and obtain a cat identification tag, provide relevant information required to process the registration of the cat, and produce a certificate from their veterinarian stipulating that the cat has been spayed or neutered, provided the cat is six months or older. The annual registration fee is $10 for an outdoor cat that is spayed or neutered and that bears a microchip or a tattoo, $15 for an outdoor cat that is spayed or neutered, but does not bear a microchip or tattoo, and $20 for an outdoor cat that is not spayed or neutered as a result of a medical exemption. The latter alludes to a feline 10 calendar years or older or one that has a medical exemption from the veterinarian attesting to the fact that it cannot be spayed or neutered. Fines will be issued to cat owners not complying with the by-law. They range from a minimum of $40 to a maximum of $1,200. Ms. Liebling took the opportunity to remind all residents of Côte Saint-Luc that if they see any homeless cats near their residence to call the Cats Committee hotline at 514-485-6800 ext. CATS (2287) and every effort will be made to trap them. If the cat is sociable, the committee will try to get it adopted. Cats which are feral will be returned to the spot they were found. The CSLCC has many people in the community who feed these cats year-round. For more information about licensing, visit CoteSaintLuc.org/PetLicenses. For more information about the Côte Saint-Luc Cats Committee, visit CoteSaintLuc.org/cats. The City of Côte Saint-Luc will name its new park at the corner of Cavendish Blvd. and Kildare Rd. after the late Elie Wiesel, a Holocaust survivor and author who fought for peace, human rights and simple human decency. A formal dedication ceremony for the new park will take place in Spring 2017. Over the next few months, meetings will be held with the Montreal Holocaust Memorial Centre and community leaders to ensure that the park tells a story for what Wiesel and other human rights activists stood for. Councillor Mike Cohen, who is also responsible for naming rights, said he was approached by a number of people after Wiesel died with the suggestion that the city honour him. Born on September 30, 1928, in Sighet, Romania, Wiesel pursued Jewish religious studies before his family was forced into Nazi death camps during the Second World War. Wiesel survived, and later wrote the internationally acclaimed memoir Night. He also penned many books and became an activist, orator and teacher, speaking out against persecution and injustice across the globe. Wiesel won the Nobel Peace Prize in 1986. He died on July 2 at the age of 87. Every household is entitled to 120 litres. Residents can bring their own empty 40 litre buckets to help cart away the compost. Bags will be available for residents without buckets. Residents should bring a utility bill or some other official document showing they live in Côte Saint-Luc. If there is compost left towards the end of the day, residents may return to take away more. The City of Côte Saint-Luc will be celebrating the 50-year anniversary of its public library all day on Sunday, September 18 culminating with an outdoor concert and laser show behind the library. To find out whether the concert will be held outdoors behind the library or move indoors, please call our concert hotline at 514-485-6900 ext. 5503. In the event of rain, a limited number of rain passes will be available at the library’s circulation desk as of noon on Sunday, September 18. Two tickets per person maximum. The City of Côte Saint-Luc has awarded the first ever Irwin Cotler Awards to students in grade 6 and grade 11 who devoted themselves to the cause of social justice. For the last five decades, Irwin Cotler has devoted his intellect and advocacy skills to the promotion and protection of human rights around the world, first as an international human rights lawyer and later as a Member of Parliament for Mount Royal, Minister of Justice and Attorney General of Canada, where he made the pursuit of international justice a government priority. Madison Gold was selected as the grade 11 recipient of the Irwin Cotler Award. Throughout her five years at Bialik, Madison volunteered many hours at various organizations including The Friendship Circle, the National Conference of Synagogue Youth and the Diller Teen Fellows Program. In addition, Madison has acted as a Bialik Ambassador for the past two years and has been heavily implicated in the mentorship program at Bialik. At The Friendship Circle, she participated in innovative programs and activities where children with special needs experienced the joy of friendship. At the National Conference of Synagogue Youth, Madison has spent countless hours visiting sick people in the hospital, preparing Shabbat meals for the needy and making blankets for the Chai Lifeline. At the Diller Teen Fellows Program, her work enabled her to grow as an active and effective person within the community and strengthened her leadership skills towards social action and community involvement. The Irwin Cotler Award for 2016 for a student in grade 6 was awarded to Gabrielle Murray, who recently graduated from École des Amis-du-Monde. Gabrielle raised more than $3,000 for Heshima, an organization in Kenya that protects unaccompanied minors and separated children and youth between the ages of 13 to 23 from Somalia, Ethiopia, Democratic Republic of Congo, Sudan, Rwanda, and Burundi. It provides safety and shelter for their most vulnerable participants, delivering a multi-disciplinary education program for students, supporting economic empowerment through a scarf-making social enterprise, providing childcare, accompanying participants to legal and medical appointments, and working within refugee community in Kenya to identify, protect and fight for their rights. Gabrielle’s aunt works for the organization in Kenya and Gabrielle decided she wanted to help make a difference in the lives of these young girls. She brought together five classmates to launch a fundraising effort over two years. She also visited Kenya to meet the girls they helped. More information about the trip and a video is at http://www.greenangelsfoundation.org/chopping-for-charity/heshima-kenya/ and https://heshimakenya.wordpress.com/2016/05/13/montreal-6th-grader-sets-the-bar-for-supporting-human-rights/. All the schools in Côte Saint-Luc were encouraged to nominate one of their students to receive the Irwin Cotler Award. Nomination forms for the 2017 award will be sent to schools in January 2017. We are in close contact with Hydro-Québec to jointly find a permanent solution as quickly as possible. A meeting of the Côte Saint-Luc City Council takes place on Monday, September 12, 2016 at 8 pm at City Hall, 5801 Cavendish Blvd. Takes place on Monday, September 12, 2016, at 7:30pm at City Hall, 5801 Cavendish Blvd. 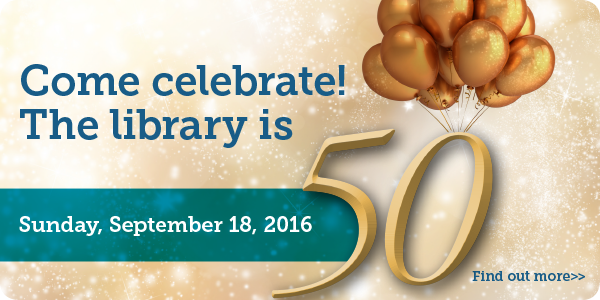 The City of Côte Saint-Luc will be celebrating the 50-year anniversary of its public library all day on Sunday, September 18, 2016 culminating with an outdoor concert and laser show behind the library. The City of Côte Saint-Luc will formally rename a section of Hudson Avenue to Place Sidney Shoham Place at a ceremony on Sunday, September 25 at 10am. Beth Zion Congregation will host a small reception afterwards, which the entire community is invited to attend. In the event of rain, the ceremony will be held indoors, followed by the unveiling of the street sign. Rabbi Sidney Shoham passed away on September 21, 2015, at the age of 86. He retired 10 years earlier as the founding rabbi of Beth Zion after having served in that role for 50-plus years. Rabbi Shoham continued to remain very active in synagogue life and in fact, passed away only hours after attending the synagogue’s annual Cantorial Concert, of which he was most involved. Beth Zion president Earl Rosen said that it would be most fitting to rename the portion of Hudson Avenue, and the synagogue address 5740 Hudson Avenue, to 1 Place Sidney Shoham Place. He extended his appreciation to Mayor Mitchell Brownstein and Councillors Mike Cohen and Allan J. Levine for their assistance. Councillor Cohen is responsible for naming rights; Councillor Levine represents the district. At the ceremony, the new street sign will be unveiled and there will be words of welcome from Mr. Rosen, Mayor Brownstein, Rabbi Boruch Perton and a member of the Shoham family. On Tuesday, September 27, Beth Zion will host Scholar in Residence Rabbi Benjamin Blech at the Rabbi Sidney Shoham Memorial Lecture and then, on Thursday, October 6, the newly renamed Rabbi Sidney Shoham Tribute Concert called “The Gift of Music” will take place. Born in Baltimore, Maryland the son of the late Rabbi Yechiel and Rebbetzen Ethel Shoham, Rabbi Shoham attended the Talmudical Academy of Baltimore and then went to Mesivta Yeshiva Rabbi Chaim Berlin in Brooklyn, New York. While studying at the yeshiva, Rabbi Shoham attended Brooklyn College at night and graduated with a Bachelor of Science degree majoring in psychology. Later, he attended graduate school at New York University, School of Psychology and continued his studies in Montreal at the Allen Memorial Hospital – McGill University where he furthered his degree in Pastoral Psychiatry. Rabbi Shoham arrived in Montreal in 1955 to visit his brother Gilbert, who was Rabbi of the Beit Hamidrash Hagadol Synagogue on McKenzie. While here, he met with an enthusiastic group of individuals anxiously waiting to build a new community in the western suburb of Montreal. After discussions with the committee, he was quickly hired as the Rabbi of Beth Zion. Over the years, he had been active with nearly every Jewish organization in the city, notably Combined Jewish Appeal, B’nai Brith and State of Israel Bonds and the founder of the much needed Miriam Home. Please note that the ACC will be closed to the public (including pools and fitness room) for annual maintenance from August 19 to September 11, 2016. The gym will be closed to the public for annual maintenance between September 10 and 22, 2016. A meeting of the Côte Saint-Luc City Council takes place on Monday, August 8, 2016 at 8 pm at City Hall, 5801 Cavendish Blvd. The City of Côte Saint-Luc allows both residents and non-residents to ask questions at its council meetings, however when there are a large number of questioners residents are given preference. When someone is called upon to ask a question, he or she must address the question to the mayor. A brief statement of no longer than one minute is permitted before the question and once the question is asked the mayor will respond on behalf of council. One follow-up question is allowed. No statement may be made prior to the follow up question. Following the first question period and the remainder of the agenda of the council meeting, there is a second question period. Attendees can only ask questions about items on the agenda that evening. Residents can dispose of old paint cans, batteries and other household hazardous waste (HHW) and old cell phones, computers and display devices and other electronic waste (e-waste) on Sunday, August 14, 2016 from 9 am to 5 pm at the Public Works Yard, 7001 Mackle Rd. Household hazardous waste items include: paints, solvents, varnishes and stains, pesticides, dry-cell batteries, car batteries, propane tanks, aerosol cans, products marked toxic, and corrosive, reactive or flammable. A more complete listing can be found here: cotesaintluc.org/hhw. Electronic waste items include: computers, cell phones, non-cellular telephones and answering machines, printers, fax machines and video game peripherals. A more complete listing can be found here: cotesaintluc.org/electronicwaste. Electronic waste will be collected by the Electronic Products Recycling Association of Québec. Resident who can’t attend this special collection can visit the Public Works Yard weekdays or the Côte-des-Neiges Eco-centre at 6925 Côte-des-Neiges Rd. For the fifth consecutive year, members of the Côte Saint-Luc volunteer Citizens on Patrol (vCOP) smoke detector brigade are ringing door bells and offering to check smoke detectors and replacing dead batteries where needed. The smoke detector brigade recently completed the south-east corner of the city including Borden, Randall, Alpine and Pinedale Avenues and surrounding east-west streets. It is now moving on to David Lewis and surrounding streets near the Décarie Square area. This initiative is done in partnership with the Montreal fire department. Smoke detector brigade volunteers will be wearing vCOP uniforms and carry a photo ID. If you are not home when they visit, they will leave a notice with information on how to schedule a visit. This is a free service. Côte Saint-Luc has a long history of fire prevention, including By-law 1556 requires smoke detectors in all new homes and buildings, which was adopted in 1977. Côte Saint-Luc, July13, 2016 – The Côte Saint-Luc Library hosts its first Technology Fair on Thursday, August 4, from 12 to 8 pm. Residents can experience all of the library’s electronic services and devices including Hoopla Digital, which is being launched on that day. Hoopla is a digital media service that allows library members to stream videos, music, audiobooks and comics to their computer, or download titles to the smartphone app. The Technology Fair will introduce library users to other devices and library services such as 3D printers, iPads, Naxos (streaming music), Zinio (online magazines), Mango (language learning resource) and more. To begin enjoying Hoopla, library members can borrow material via our website (csllibrary.org) or they can download the free hoopla digital mobile app on their Android or IOS device. Using their library barcode, thousands of titles from major Hollywood studios, record companies and publishers are available to borrow 24/7, for instant streaming to computers or streaming/temporary downloading to smartphones and tablets . Hoopla digital partners with public libraries across North America to provide online and mobile access to thousands of movies, TV shows, music, ebooks, audiobooks and comics. Hoopla digital is a service of Midwest Tape –a trusted partner of public libraries for over 25 years. For more information, call the library at 514-485-6900 and speak with a Reference Librarian or visit (csllibrary.org). The Eleanor London Côte Saint-Luc Public Library is located at 5851 Cavendish Blvd. A meeting of the Côte Saint-Luc City Council takes place on Monday, July 11, 2016 at 8 pm at City Hall, 5801 Cavendish Blvd. The Parkhaven outdoor pool be closing at 4:30 pm for competitions on Wednesday, July 6, 13 and 20. The ACC indoor pools remain open to the public. The rain today (and the rain expected tomorrow) has forced us to move some of our activities indoors to the CSL Gymnasium (Mackle/Parkhaven). Join us for face painting, tattoos, photo booth, cupcakes, and the princess. The laser show and performance by Airport 77 has been postponed until September 18, when the library celebrates its 50th anniversary.